Note to loyal blog readers: This column is based on the blogging I did at SXSW last week (and early this week). I had just sat down to blog about what a fun evening of rock ’n’ roll I’d had on the opening day of the South by Southwest music festival on March 12 — all the great music I heard, all the cool people I saw, and all the friends I got to hang out with — when I got a Facebook message from my brother in Santa Fe. He had news of a bizarre tragedy at SXSW and wanted to know if I was OK. It seems that a car that was the subject of a police pursuit plowed into a crowd in front of The Mohawk near 9th and Red River Streets. At that point, two people had died and five more were critically injured. By Monday morning, one of those five had died from injuries she’d sustained in the incident. A couple of dozen people injured by that driver were transported to hospitals that night. I’ve heard grumbling for years about how the festival has grown too big and how the streets of Austin can’t handle the traffic, the crowds, and the insanity. You can’t blame the festival organizers for the alleged actions of the defendant, Rashad Owens, an aspiring rapper and music producer, who reportedly had a gig on the festival’s last night. According to police he was fleeing from a DWI checkpoint, may have been intoxicated, and had outstanding arrest warrants. But this is a music column, not an op-ed piece, and I did hear lots of great music at the festival and at the unofficial events that surrounded SXSW. There were a couple of singers I hadn’t planned on seeing who I saw at my very first SXSW in 1995. 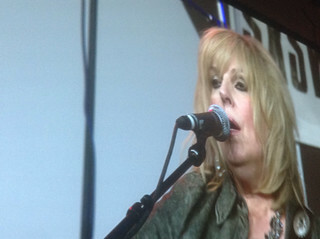 One was Lucinda Williams, who played a brief set at the Austin Music Awards. Accompanied by her own guitar and a lead guitarist, Williams played mostly old songs like “Passionate Kisses,” “Lake Charles,” and “Drunken Angel.” She was wonderful. Another unexpected pleasure was Howe Gelb, who I’d caught two or three times before with his old group Giant Sand. I stumbled into the Continental Club, where he was playing with a trio. On his quieter songs, he sounded like Marty Robbins after a three-week peyote trip. But Gelb can also tear loose on electric guitar with the same weird vision and fire that made me love Giant Sand to begin with. 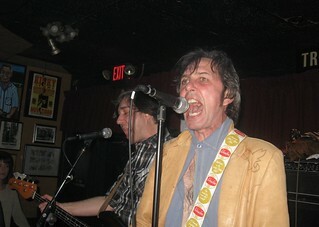 I caught the classic Texas cowpunk crazies, The Hickoids (which includes longtime Santa Fe musician Tom Trusnovic), twice this year — at an east Austin joint called The White Horse, right after they were inducted into the Austin Music Hall of Fame, and later at the Triple Crown, a bar in San Marcos. As usual, they lean on the punk much heavier than the cow, but their raunchy tunes never fail to delight. Barrence Whitfield and the Savages performed a set at C-Boy’s Heart & Soul that was sheer intensity. Playing lots of stuff from his latest, Dig Thy Savage Soul, Whitfield raised the energy level several notches. 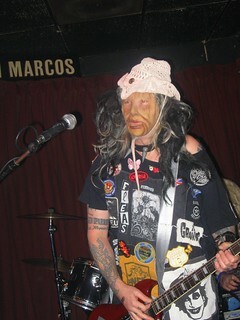 Guitarist (and Taos resident) Peter Greenberg’s fingers were bleeding well before he left the stage. Possessed by Paul James, the musical superhero whose secret identity is mild-mannered teacher Konrad Wert, played at the off-the-beaten-track Austin Moose Lodge, at a showcase by the small but impressive Hillgrass Bluebilly Records. 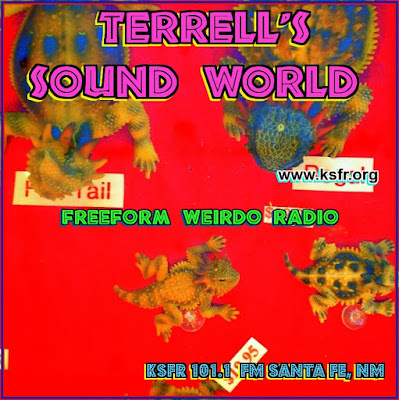 Wert was in his one-man-band mode, playing a small arsenal of stringed instruments and using his trademark stomp-box — which is basically a wooden board that is miked — as percussion. All that, and his voice. When Wert gets to wailing, sometimes it seems as if he really is possessed. 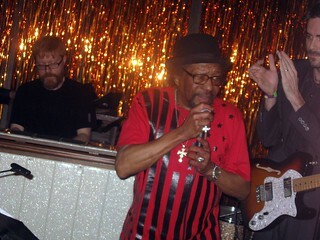 Veteran Dallas soul man Bobby Patterson, who was celebrating his 70th birthday that night, performed at C-Boy’s. Never very famous as a performer, Patterson is known mainly as a producer and a DJ. He produced records for Little Johnny Taylor, Fontella Bass, and Chuck Jackson. He was backed by a band that included a horn section, and at one point he was joined onstage by Whitfield. I first latched onto The Grannies two years ago at SXSW. 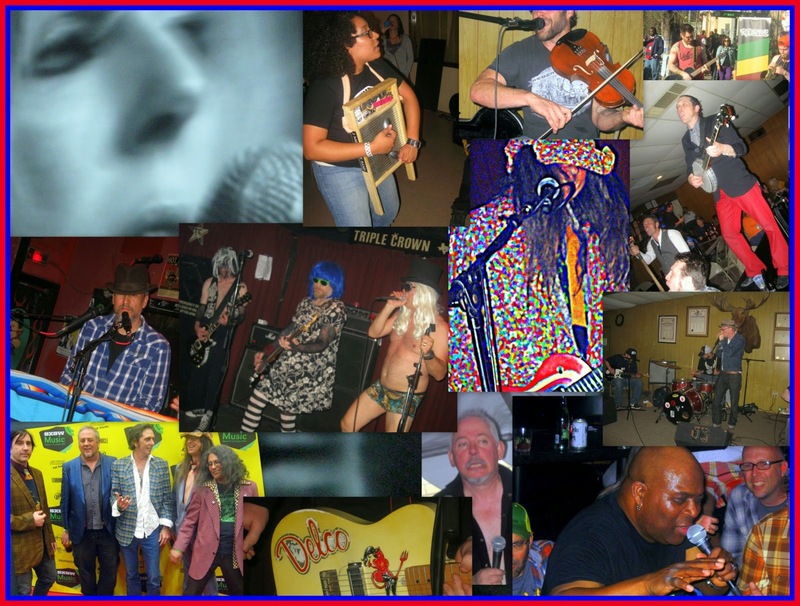 Appearing in colorful wigs, horrible frocks, and muumuus, the band just tore up the Triple Crown. They attacked the music with humor as much as fury. Singer Wizard Sleeves was wearing some kind of flesh-colored body suit, and guitarist Sluggo ended his set with a classic-rock guitar smashing demonstration. Playing at the Moose Lodge show were several bands new to me, including The Pine Hill Haints, an acoustic group (with a washtub bass) from Alabama who describe their sound as “Alabama ghost music.” Peewee Moore, a Tennessee-born songwriter, also played with an acoustic band, though his honky-tonk sound would work with a full country band — fiddle, steel, drums etc. (Apparently Moore has played the Cowgirl BBQ in Santa Fe. I hope he comes back so I can catch him again.) The Rock Bottom String Band is a gaggle of countrified hippie kids who play a variety of instruments and sing with so much enthusiasm it was impossible not to get into the spirit. Left Lane Cruiser has a raw slide-guitar-based sound you might call “damaged blues.” The group’s bass player also made crazy noises on a bizarre homemade instrument fashioned from an old skateboard and a beer bottle on a couple of songs. It’s a type of diddley bow he calls “skidley bow.” Playing harmonica on the band’s first song was J.D. Wilkes from The Legendary Shack Shakers. 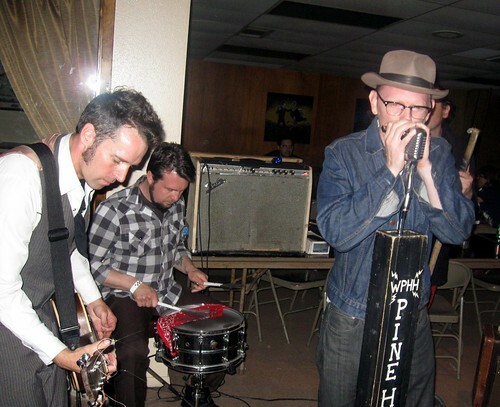 Wilkes made a similar cameo earlier in the evening with The Pine Hill Haints. The Woggles, who played at C-Boy’s, is a neo-garage band that’s been around several years. You can hear a little Count Five in The Woggles’ guitar and see a little Paul Revere & The Raiders in their moves. But mostly I heard echoes of Mitch Ryder & The Detroit Wheels in The Woggles’ music. 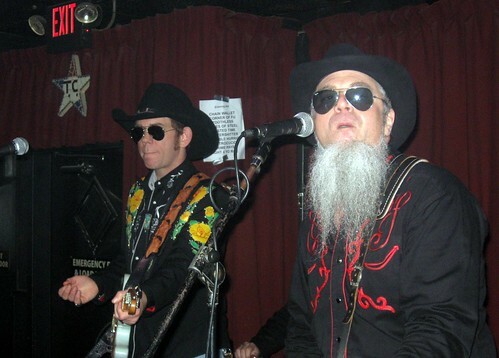 A Pony Named Olga, who played at the Triple Crown, is a high-energy psychobilly trio from Berlin (they call themselves “country-punk and polkabilly”), featuring an electric guitarist/singer, a doghouse bassist, and a drummer. They have the basics of psychobilly down pat, but they also have a few unusual melodies and chord changes that bring a twist to that sound.